If you don't maintan your base properly, you can't expect an excellent performance of your skis. If you have chosen cross-country or performance skis, their base is probably covered with small parallel ridges. These skis may be cleaned simply with a bronze brush before waxing, in comparison to recreational skis, which can handle slight sanding with an emery paper. This process helps to clean the base from polyethylene fibres which appeared during manufacturing process, and prepare the surface for optimal wax absorption. If you apply a warm wax, the base gets cleaned from dirt and prepared for further wax application. Room temperature is ideal condition for waxing. For ironing, follow instructions from the manufacturer. The temperature of the wax iron should be around 110°C. Try to ensure smooth movements along the base to prevent overheating in some places. When the wax cools off, remove the residue with a plastic scraper and don't forget to clean the ridges. Finally you can clean the base again with a bronze brush. Skis should be taken care of not only before you take them on the snow, they also require proper aftercare. 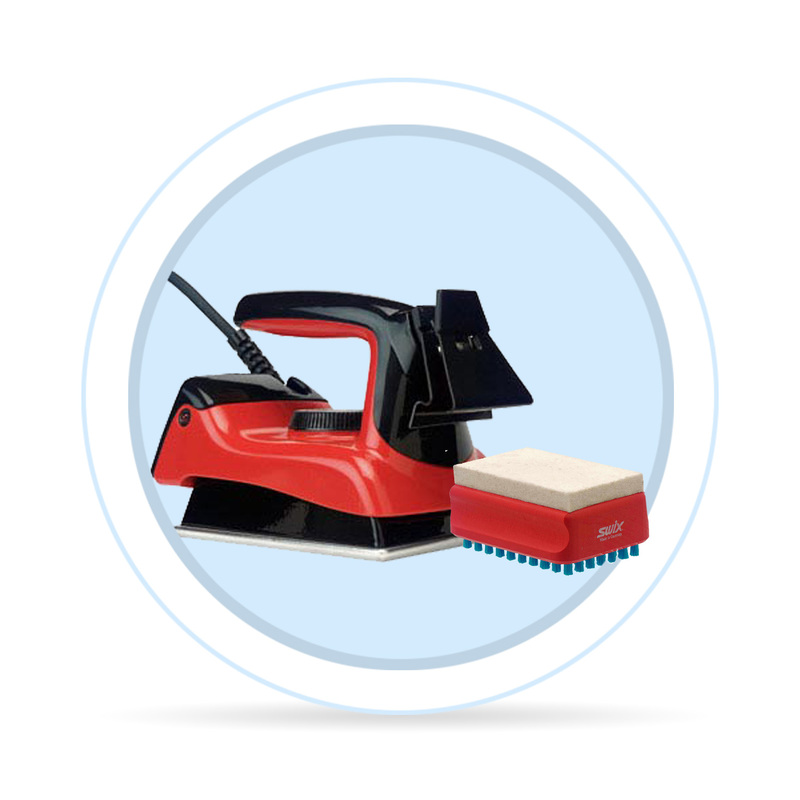 The wax residue should be removed with a metal scraper and the base cleaning throughthe ironing method. Remove the glide wax when it is still warm. Klisters and soft waxes should be removed with a special wax remover used according to manufacturer's instructions. Don't use technical oil, it could damage the structure of the base. Small scratches from stones and gravel don't have to be reason to throw the skis away. The scratches may be removed for example with a special repair candle. After applying, slightly sand the wax in. An alternative is a graphite power. Follow manufacturer's instructions for use. There are so many kinds of ski waxes on the market, so choosing the right one might seem impossible. If you follow a few simple rules, you'll find that waxing is not such a difficult task as it seems. Since the base surface differs on skate and classic cross-country skis, so differs the base care. Skating style doesn't require grip wax, you only need to apply glide wax in order to reduce friction. 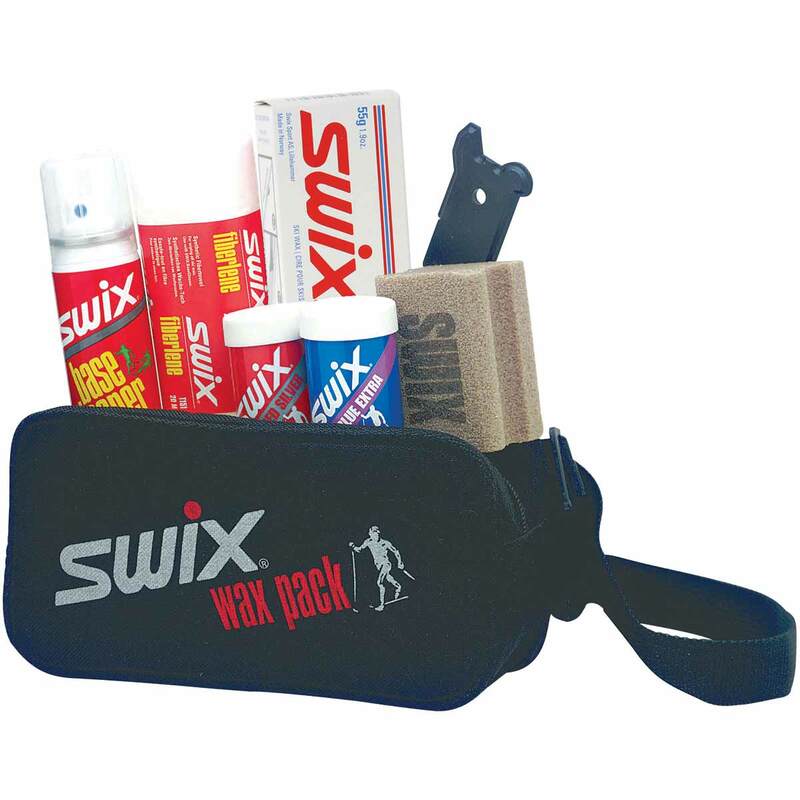 Preparation for classic cross-country skiing however requires the use of grip waxes, which are applied on the grip zone (sometimes known as kick zone) under the foot. The choice of wax depends on a few rules and personal experiences of each skier. Air and snow temperature - Snow temperature is much more stable than the air temperature and the differences might be considerable. Snow structure - Snow structure is the key aspect for the right choice. The structure of snow, meaning the size of the snow grains, depends on the age of snow and the surrounding air temperature. For example, because the hard crystals of old snow are sharp, the wax needs to be resistant to abrasion. Fresh powder snow cannot rub the wax off so quickly, so it doesn't have to be that durable. The structure of snow may be however changed even by a strong wind. 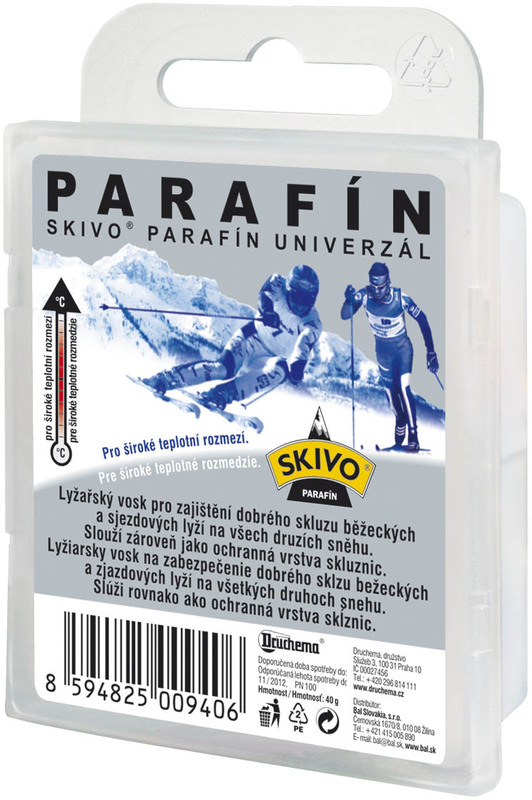 Snow humidity - Snow humidity influences its adhesive properties and therefore also ski's glide. Choose your wax according to information on the package, such as type of snow and recommended temperature. Don't forget, that these conditions change during the day and depending on the altitude. Tube waxes are the most common types of wax between recreational skiers, and are used on fresh snow powder, or older sugery snow. You can apply multiple layers of wax, or apply a bottom layer first (suitable in case of older sharp snow crystals). Before wax application, slightly sand the grip zone. Apply the wax in thin lines on the grip zone and carefully smooth out using a cork. The base should be sufficiently dry in order to enable optimal application. Accidental lumps in the wax may result in increased friction. Klisters - soft, liquid, sticky waxes - are suitable for glazed tracks and coarse-grained wet snow. The choice of klister depends on the information on the package. Again, the durability may be increased by ironing a bottom layer. The wax is applied in a thin layer across the grip zone. Smooth out using a plastic applicator which usually comes with the klister. If you plan on applying the klister directly on trail, keep the tube next to your body to prevent freezing. There are many types of waxes and klisters on the market, some of them designed primarily for racers. You can find powder wax, classic wax with fluoride additive, or finishing sprays. The instructions are always included with the product.